After the procurement of any modern weapon by Indian Armed Forces, Pakistani Government gives a one line answer that they have Tactical Nukes (TNWs) which are made for the battlefield to counter Indian cold start doctrine. In reply, Indian side has made it clear that if Pakistan uses a single TNW on Indian troops, we will retaliate with a full scale nuclear strike. But in reality, the chances of India doing so are very slim even if Pakistan uses a TNW and that is why India is investing heavily to create a multi-layered missile defense system. To protect its major cities, India is in the process of buying S400s from Russia. India is also working on perfecting its own BMD System. Apart from that, India already has S300s and other missile defense systems which can stop a ballistic missile. But if India decides to move these systems along with the conventional forces in a cold start doctrine, it will lead to risking the multi billion missile defense systems under immense irrational threats which can be dealt easily with cheaper alternatives. 1. Protection of Indian Forces involved in the Cold start from short range ballistic missiles and nuclear capable cruise missiles. 2. No risk of losing a highly strategic ballistic missile defense system like S400, S300 or BMD which are to be used to intercept IRBMs and ICBMs. 3. Since Radar, Command and control Posts, etc are already procured by India, we have to pay for the interceptors only which are cheaper than the Indigenous BMD missiles and S400 missiles. 4. India will get its hands on a missile with direct hit to kill technology. 5. 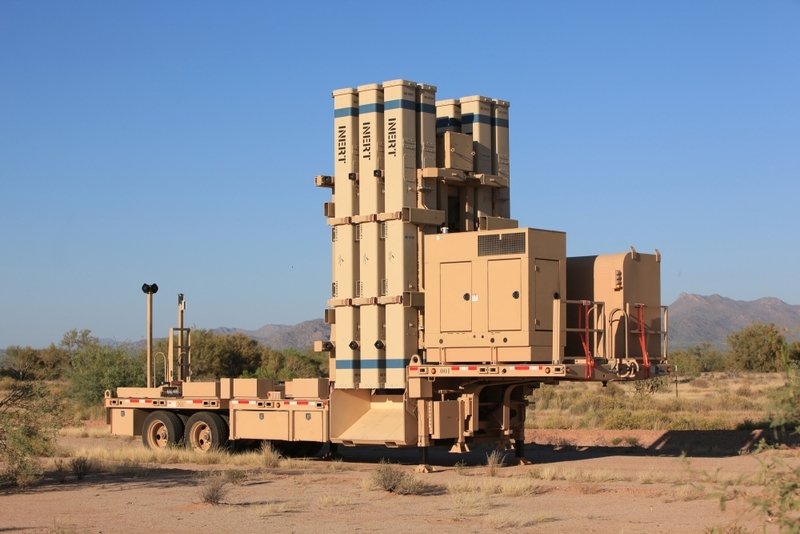 STUNNER is an excellent all weather interceptor which can be understood from the fact that it will be an integral part of the PAAC-4 missile defense system under development in the USA. 6. Procurement of S400 and other BMDs is for protection of major cities and using a dedicated system to intercept Pakistani TNWs , India can checkmate the TNW card played by Pakistan. Lastly, I can say that integrating STUNNER with SPYDER is not an imaginative thought. Israel already did this in the DAVID’S SLING. With the recent developments in Indo- US relations, it is likely that US will allow sale of few stunner interceptor batteries to India. With Israeli assistance, we can integrate it with SPYDER system. Disclaimer : Articles published under ” MY TAKE ” are articles written by Guest Writers and Opinions expressed within this article are the personal opinions of the author. IDRW.ORG is not responsible for the accuracy, completeness, suitability, or validity of any information on this article. All information is provided on an as-is basis. The information, facts or opinions appearing in the article do not reflect the views of IDRW.ORG and IDRW.ORG does not assume any responsibility or liability for the same. article is for information purposes only and not intended to constitute professional advice .